DC Comics June 2016 Solicitations Spoilers & News: DC Comics’ Rebirth Gets The Marvel Comics Treatment In March 2016 Diamond Previews? Spoilers and news follow for Rebirth! DC Comics’ Rebirth initiative gets the Marvel Comics treatment for its June 2016 solicitations! DC Comics has advised retailers that the March 2016 shipping Previews from Diamond will feature a separate catalog for DC Comics Rebirth. While DC Comics advises this a one-month Previews rollout, Marvel Comics has been doing this for years. DC Comics July 2016 solicitations move back into the body of the main Previews catalog from Diamond. DC Comics will provide the Rebirth themed catalog free to Diamond retailers in twice the number of copies of their Previews orders. Further copies of the catalog can also be ordered at a nominal price. It is not clear of the Rebirth catalog this month with solely focus on DC Comics June 2016 solicitations or will build on that with announcements of the creatives teams and cover art for all Rebirth titles rolling out over the next few months. 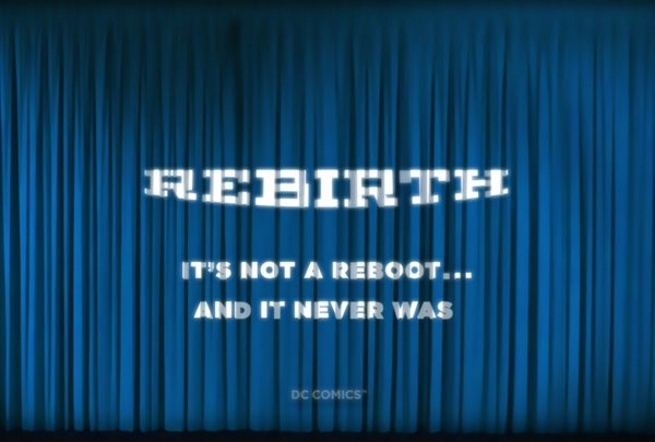 More on the reaction to Rebirth here and the actual line-up / series details here.